The house at 7795 Grundy Street is on a quiet cul-de-sac in the Bay Meadows subdivision in Southwest Pensacola is for sale. Convenient to downtown Pensacola, Naval Air Station, the beaches of Perdido Key and more, Bay Meadows is just off of Gulf Beach Hwy and Bayou Grande. The home is all brick and has three bedrooms, two bathrooms, a two car garage and a total of 1,437 square feet of living space. The great room is spacious with light-colored laminate wood flooring, and a brick, wood-burning fireplace. 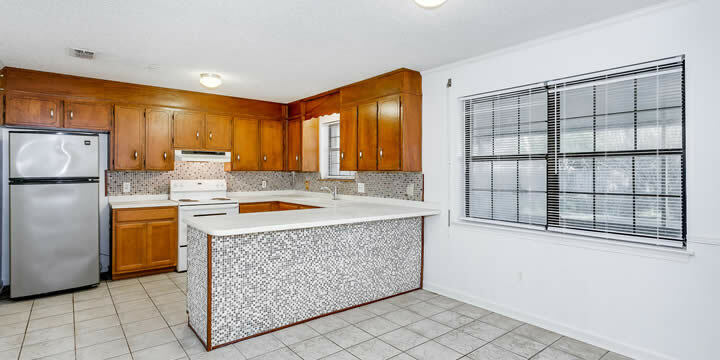 The open floor plan combines the dining room, kitchen with a huge breakfast bar. The U-shaped kitchen has an over-sized pantry and laundry room off to the side. Most rooms offer tile flooring, and the bedrooms have carpet. A large screened sunroom just off the living area allows you to enjoy the fenced backyard with mature shade trees. This home also has hurricane protection for the windows and doors - a significant feature in coastal living. 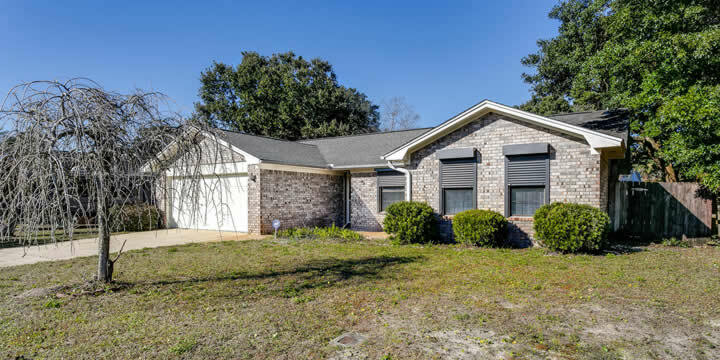 Call Emerald Coast Realty, 850-437-5618, for further details about this home and others in Pensacola.